Once you are convicted of a DUI, the MVD may determine that you are a “high-risk” driver and will require you to get an SR-22 or “high risk” insurance. This is a Financial Responsibility insurance form that your insurance company files to prove that you have the minimum liability insurance required by law to the DMV on a monthly basis. This is a crucial factor in the reinstatement of your driving privileges. The state usually requires people with a DUI conviction to carry an SR-22 insurance for three years after the conviction. As such, your insurance company is mandated to notify the state of changes in your car insurance policies, such as renewals and cancellations, within this period. People with a DUI conviction aren’t the only ones who are mandated to file for an SR-22. Individuals who have been caught driving without insurance or a license, committed repeat traffic offenses, or incurred too many tickets within a short period could also be required to carry an SR-22 insurance. Working with a trusted insurance agent that has experience with SR-22 insurance in Arizona ensures that you are properly following the guidelines and will result in a better outcome for your driving privileges to become reinstated. You can opt for a higher coverage, but choosing the minimum will keep the costs as low as possible. Filing the actual SR-22 form doesn’t cost much. The fee ranges from $20-$50. The expensive bit is the insurance premiums that comes with a DUI conviction on your MVD record — they’re usually pricier than ordinary policies. And you have to maintain the insurance coverage for the required period. We don’t recommend bypassing the SR-22 and sitting out the next three years without driving. This doesn’t waive the requirement. Once the three years have elapsed, and you decide to go back to driving, the state may require you to obtain an SR-22 for another three years to reinstate your license. Find insurers. If your auto insurance company doesn’t issue SR-22s, look for an agency that does. DUI Process Experts will connect you with an insurance provider that meets your needs. Check the Coverage – Verify if the auto insurance company offers the minimum liability coverage mandated by the state. Pay the SR-22 fee. Once you’ve talked to your car insurance company about your requirements, pay the fee to finalize the filing of the form. This covers the services of the insurance company, including filing the SR-22 on your behalf. Wait for the Confirmation – Your insurance company will file your SR-22 with the Department of Motor Vehicles and provide you a copy of the SR-22 for your records. DUI Process Experts helps you manage the circumstances of your DUI conviction in Arizona. 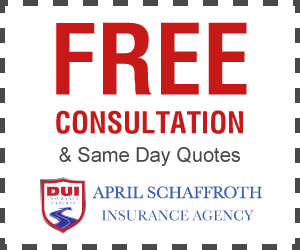 We’ll walk you through the SR-22 insurance process, from collecting the requirements to filing the SR-26 at the end of the required period. With an extensive knowledge of SR-22, our team takes the hassle out of fulfilling your insurance-related duties. Our reliable insurance partner grants you access to a wide array of auto insurance coverages. We’re committed to providing the much-needed guidance during these difficult and confusing times. We have vetted our partner to ensure we offer an excellent insurance coverage at reasonable prices. Think of our team as a concierge. Whatever you need to get your license back — insurance, interlock device, traffic survival school — we’ll help you achieve. And after everything’s done, we offer one last service: cleaning up your record. This will allow you to set aside the DUI from your record. The best part? Our services are free. We even provide additional discounts when you work with our partners. Get in touch today for a comprehensive guidance on accomplishing the tasks needed to get your license back, including an SR-22 auto insurance in Arizona. All the requirements, fees, and premiums will be explained thoroughly, so you can purchase the insurance that matches your needs and financial situation. Call 602-441-9444 or visit our insurance partner’s website. DPX DUI Process Experts, its affiliates and agents do not provide legal services of any kind. This website and our services provide guidance and resources to clients who have been convicted of a DUI to regain their license in Arizona. No information contained in this website should substitute for legal advice . Clients seeking legal assistance should only solicit advice from a lawyer licensed in their respective state. © 2019 DPX DUI Process Experts. All rights reserved.